Whether you are new to the cloud or an experienced user, you will learn something new at this immersive two-day event where art and technology converge. This free event features global keynote announcements, networking, multiple breakout sessions on the latest cloud technology solutions, access to AWS experts, hands-on learning, and an even bigger solution expo. The AWS Summit Singapore brings together the cloud computing community to connect, collaborate and learn about AWS. Explore our action-packed two-day event agenda, where you can dive deep into your core topic or join a starter session to learn something new. All topics will be delivered by subject matter experts from AWS, Partners or expert customers who can share their real-world experiences and lessons learned. Introducing TechFest on April 10, a full day dedicated to technical professionals. If you are a developer, a data scientist, an application architect or an IT Pro, this day is for you. Expect hands-on labs, bootcamps, certification, deep-dive technical training curated by subject matter experts. Sessions are for attendees who may have implemented a solution on their own already (level 300–400). Content on April 11 focuses on six key themes and provides an overview of AWS services and features as well as best practices, details of service features and demos designed to meet the needs of attendees whether you are new or have intermediate knowledge of the topics (level 100 – 300). 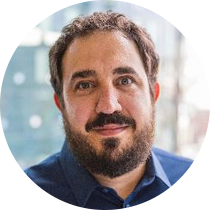 Peter DeSantis is the Vice President of AWS Global Infrastructure and Customer Support. In this role, he leads the AWS teams responsible for designing the datacenters, servers and network that underpin our AWS services and deploying and operating this infrastructure worldwide as well as the customer facing organizations providing support for our AWS products. Peter joined Amazon in 1998. 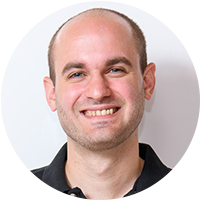 Prior to joining Amazon Web Services, Peter worked in various other groups within Amazon including leading the distributed systems engineering group. In March 2006, Peter joined Amazon Web Services as the General Manager of Amazon Elastic Compute Cloud (EC2). Peter led the EC2 team through the 2006 initial launch of the service and went on to lead a number of AWS products focused on compute and networking until he accepted the role of Vice President, AWS Global Infrastructure in October 2016. In January of 2018, Peter expanded his role to include AWS Customer Support. Peter earned a bachelor of arts with a dual major in Economics and Computer Science from Dartmouth College. He advises how emerging technologies in the Artificial Intelligence (AI), ML and IoT space can help create new products, make existing processes more efficient, provide overall business insights and leverage new engagement channels for end-consumers. He also actively helps customers build platforms that align IT infrastructure and service spending with revenue models, effectively reducing waste and disrupting how product development had been executed over the past decades. 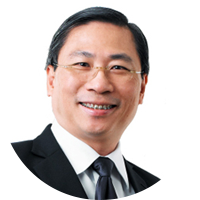 Mr Chua Chwee Koh is Chief, Group Technology and Operations at Certis. Headquartered in Singapore, Certis is an advanced integrated security services provider with revenues of more than S$1 billion, and with a global footprint across Singapore, Australia, China, Hong Kong, Macau, Malaysia, Qatar and the UAE. Chwee Koh joined Certis in 2004 as the Chief Operating Officer, and remains part of the Executive Leadership Team that has grown the group revenue from S$200 million to more than S$1 billion in FY2018. He spearheaded the Lean Six Sigma initiative and also created a shared service centre to achieve enterprise end-to-end streamlined processes. As the Chief Executive of Integrated Services in 2017, Chwee Koh headed Certis’ foray into non-security businesses. In 2018, he was appointed as the Chief of Group Technology and Operations to lead Certis’ rapid expansion globally through seamless integration of ops-tech capabilities. Prior to joining Certis, Chwee Koh held the rank of Brigadier-General in Singapore Armed Forces between 2001 and 2004. As a colonel in the Singapore Armed Forces, Chua was head of the Joint Operations Department, Joint Operations and Planning Directorate. Chwee Koh graduated in 1985 from Birmingham University with First Class Honours in Mechanical Engineering and Economics. He later obtained a Masters in Public Administration at Harvard University. 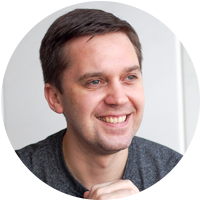 Sergei Shvetsov is Head of Engineering in charge of Cloud Infrastructure at Traveloka, one of 4 Indonesia's tech unicorns and one of the largest users of AWS in SEA. With nearly 20 years of information technology experience, Sergei has attained a vast range of skills in the field. Be it software engineering, system and network administration, or nurturing relationships with clients in more than 20 different countries around the world; he received recognitions from peers, superiors, and clients alike. Currently, Sergei resides in Jakarta, Indonesia with his wife and bright 10-year old daughter. The world's first global autonomous racing league, open to anyone at AWS Summit Singapore! The AWS DeepRacer League at AWS Summit Singapore gives you the opportunity to compete in a global racing championship, racing for prizes, glory, and a chance to advance to the AWS DeepRacer Championship at re:Invent 2019 to win the coveted AWS DeepRacer Cup. The League launched in early 2019, and in each season developers will score race points by competing in time trials both online and at live events globally.